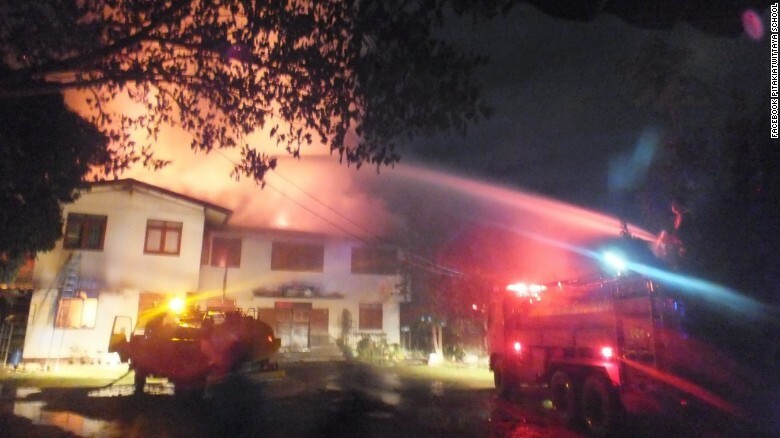 Fire quickly swept through a dorm at a girls school in the northern province of Chiang Rai on Sunday. Police say at least 17 girls perished in the fire and five others were injured. The school is said to be for poor families. The fire broke out as the girls slept at the Christian school. Authorities said the girls range in age from five to 12. Two of the young girls who were injured are in critical condition. The cause of the fire is unknown.